Scarlett 2i2 is the best selling USB audio interface in the world, and for good reason. It focuses on just three things; achieving the best sound, the fastest speed and the easiest experience. Our latest generation continues to improve in all three areas. It is compact yet versatile, with two natural-sounding Scarlett mic preamps, super-low latency* and the same class-leading sound quality and digital conversion as the rest of the latest Scarlett range. Take it anywhere, connect by a single USB cable to a computer, plug two mics or instruments straight in, and easily record studio quality audio. Focusrite is the perfect partner for Pro Tools. To celebrate this Scarlett 2i2 now comes with an exclusive version of Pro Tools | First Focusrite Creative Pack, as well as Ableton Live Lite. It is compatible with all major DAWs, on Mac 10.10 onwards and PC windows 8.1 onwards . MIDI IO is not a feature of Scarlett 2i2; check out Scarlett 2i4 for all of the same features of the Scarlett 2i2 with the addition of MIDI I/O and increased control over audio levels. Uses phantom power to give passive mics (mainly used for dynamic and ribbon mics) up to +25dB without passing phantom power on to mic. Easy to use self contained design requires only phantom power to work. **Does not use phantom power to power mics. Does not power the mics themselves using phantom power (That is not what this is designed for). Instead, place the cloudlifter at the front of your dynamic mic, then hit it with phantom power and your basic mic (even an SM58 style mic) will shine like never before. Warranty: 1 year warranty on parts. The dbx 286s is a full featured Channel Strip Processor that delivers a studio quality microphone/instrument preamplifier and four processors that can be used independently or in any combination. Why mic up vocals and instruments through a noisy, blurry mixer? The sonically pristine dbx 286s Mic Preamp has all the features you need, including wide-ranging input gain control, switchable +48V phantom power, and an 80Hz high-pass filter to remove low frequency hum, rumble or wind. Use the patented dbx OverEasy compressor to transparently smooth out uneven acoustic tracks or deliver that classic "in your face" vocal performance that only a dbx compressor can. Eliminate vocal sibilance and high frequency distortion from instruments such as cymbals with the frequency tunable De-Esser. Fine-tune the Enhancer HF Detail control to add sparkle and crispness to your tracks and make adjustments to the LF Detail control to add fullness and depth to vocals and bass instruments while cleaning up the muddy low midrange frequencies. The separate threshold and ratio controls on the Expander/Gate allow you to subtly reduce headphone leakage or radically gate noisy guitar amps. And, the dbx 286s offers a full compliment of metering and status LEDs to visually guide you to achieving the right sound. 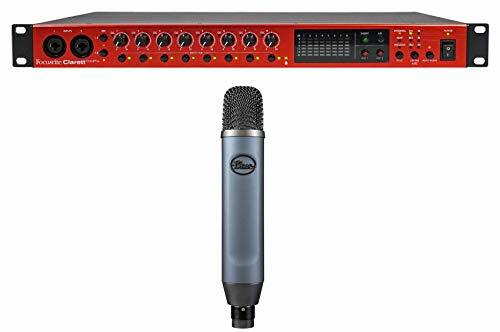 The floating balanced XLR Mic Input accepts balanced or unbalanced inputs to easily connect to professional and home studio microphones. 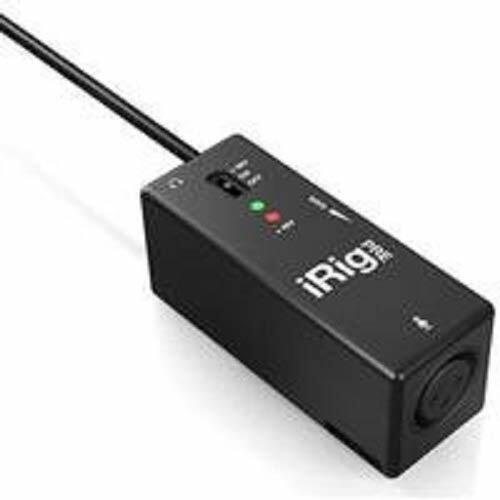 The additional 1/4" TRS Line Input can accept balanced/unbalanced signals to process live electronic instruments or pre-recorded tracks at mix down. Use the Insert jack to interface between the Mic Preamp and the signal processing sections to "loop out" to external processors (such as EQ or delay unit) or to mix the Mic Preamp's signal out to an external destination. Warranty: This warranty is valid only for the original purchaser and only in the united states. 1. The warranty registration card that accompanies this product must be mailed within 30 days after purchase date to validate this warranty. Proof-of-purchase is considered to be the burden of the consumer. 2. Dbx warrants this product, when bought and used solely within the u. S. , to be free from defects in materials and workmanship under normal use and service. 3. Dbx liability under this warranty is limited to repairing or, at our discretion, replacing defective materials that show evidence of defect, provided the product is returned to dbx with return authorization from the factory, where all parts and labor will be covered up to a period of two years. A return authorization number must first be obtained from dbx by telephone. The company shall not be liable for any consequential damage as a result of the product's use in any circuit or assembly. 4. Dbx reserves the right to make changes in design or make additions to or improvements upon this product without incurring any obligation to install the same additions or improvements on products previously manufactured. 5. The foregoing is in lieu of all other warranties, expressed or implied, and dbx neither assumes nor authorizes any person to assume on its behalf any obligation or liability in connection with the sale of this product. In no event shall dbx or its dealers be liable for special or consequential damages or from any delay in the performance of this warranty due to causes beyond their control. LIMITED TIME OFFER: FREE access to Sonarworks' Reference 4 Headphone Edition upon registration and download. It's all about gain and impedance. 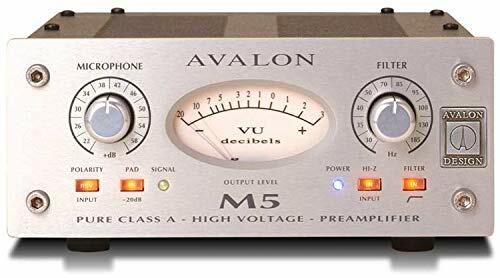 While some of the best sounding microphones out there are low-output dynamics and ribbons, pre-amplification can be challenging due to the gain and impedance requirements. Cloudlifters address this by giving passive microphone signals a major inline boost -up to +25db of ultra-clean gain- while properly loading the microphones' transformer for optimal performance. 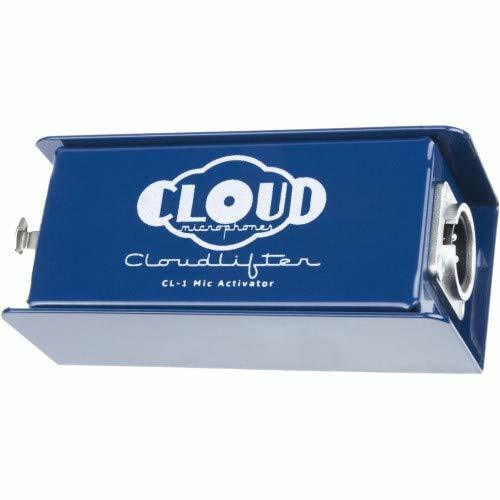 Cloudlifter CL-1 Mic Activator is an easy to use, compact solution for common audio problems faced in the field and in the studio. Designed for all passive microphones - including ribbons- the CL-1 safely uses any standard phantom powered microphone input device to provide up to +25db of ultraclean, transparent gain. 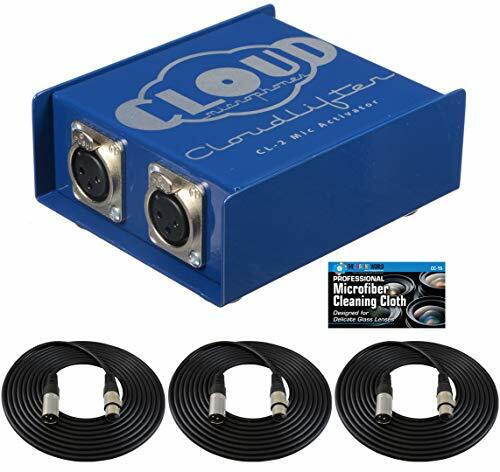 Cloudlifters dramatically improve the performance of passive microphone signals by driving stronger, cleaner signals over longer XLR cable runs,making them ideal for broadcast, live, and studio applications. Enclosed in a rugged steel enclosure offering excellent shielding, the CL-1 additionally has provisions for stage or stand mounting with the included strap. Using patent pending technology that keeps the direct audio path free-andclear of transformers, capacitors, and resistors, the CL-1 houses discrete JFET circuitry that delivers world class, ultra-clean gain while preserving the natural sonic characteristics of the source. Cloudlifters are recommended for improving the signal to noise ratio and performance of passive microphone/preamp combinations with the following. Here's how you use it: Take the microphone you use every day on stage or in the studio and plug it into your device. It's that simple. Need Phantom Power? Flip the "Phantom Power 48V" switch. Congratulations, you've just become a professional user. This is perhaps the most important product introduction for musicians and the rest of the civilized world since the iPod and iPad. Now, thanks to the Nicama V2, you can hook your favorite microphone to your iOS device and join the mobile music revolution. Create music any time, anywhere with your own high quality microphones on your iPhone, iPod touch or iPad. So now if you want to record that special riff using your own ribbon microphone and mix it on your iPhone, you can. Simply plug Nicama V2 into the headphone jack of your iOS device, activate phantom power if necessary, launch your recording software and wail away. 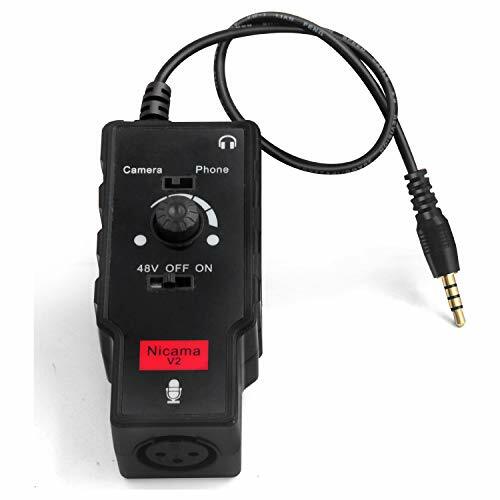 Nicama V2 is an easy solution to connect any professional microphones to iPhone, iPod touch, or iPad and Guitar and Android device, DSLR cameras Canon, Nikon, Sony mirrorless cameras. Everything you need to make professional recordings on your Mac or PC, all in one box. 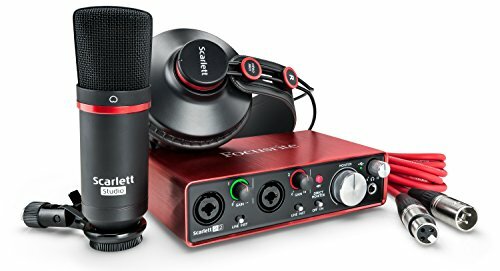 Scarlett 2i2 Studio Pack includes the compact Scarlett 2i2 USB audio interface, a large-diaphragm condenser microphone, studio-quality closed-back headphones, and all the cables and software you need to start recording. Focusrite is the perfect partner for Pro Tools. To celebrate this Scarlett 2i2 Studio now comes with an exclusive version of Pro Tools | First Focusrite Creative Pack, as well as Ableton Live Lite. It is also compatible with all other major DAWs, on Mac and PC. It takes only minutes to set up for the first time, then just plug straight in and start recording. The 4 band chromatic tuner equalizer with LCD display is for acoustic guitar, this equalizer helps to electrify and amplify the sound, high sensitive and great performance make your performance perfect. 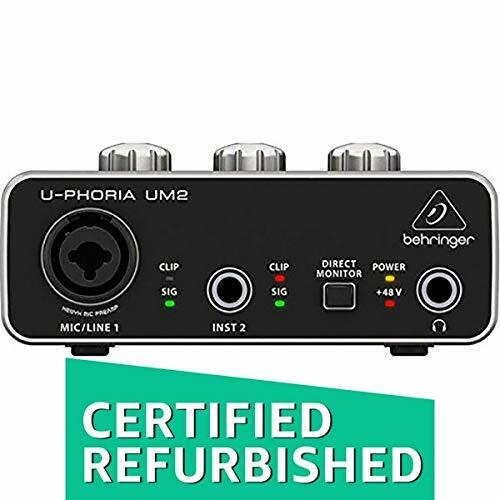 Specifications: Main Material: Plastic Bands: 4 Nominal Input Level: -20dBV Nominal Output Level: -12dBV Input Impedance: 1M Ohm Output Impedance: 2K Ohm (20Hz~20KHz) Control Range: Bass: 10dB at 80Hz; Middle: 8dB at 800Hz; Treble: 8dB at 4KHz; Presence: 5dB at 10KHz Power Supply: 9V Alkaline Battery(Not Included) Jack Dimension: 6.35mm Item Size: 7.3 * 5.0 * 3.0cm / 2.9 * 2.0 * 1.2in Item Weight: 53g / 1.8oz Package Size: 12 * 8.5 * 6cm / 4.7 * 3.3 * 2.4in Package Weight: 178g / 6.3oz Package List: 1 * 4 Band EQ 1 * Battery Box 8 * Mounting screws 1 * Pickup Line 1 * Sticky Plate 1 * Cable Tie Note: The battery is not included. 4-band equalizer, perfect for acoustic guitar, it helps to electrify and amplify the sound. With tuner function for tuning easily. Pushing the bass/middle/treble/pres knob for voice frequency adjustment, with volume control. Pretty visible LCD screen, with low battery indicator. Supplied with the pickup line, mounting screws, sticky plate and cable tie for easy assembly. Powered by Powered by 9V alkaline battery (not included). Claret USB lays down the challenge to interfaces twice the price. The Claret USB range features specially designed high performance, low-noise (-128dB EIN) mica press with a low distortion, ultra-linear design that guarantees a clean, open and transparent sound, giving accurate representation of the original performance. Boasting 118dB dynamic range, Claret can now be experienced with any Mac or PC supporting USB 2.0 and above. Decades of analog circuit design experience, applied around 24-bit/192kHz A-D and D-A conversion, delivers a superior signal path. Claret 4Pre USB is an 18-in, 8-out audio interface. Gain Halo meters make it easy for you to set the input level of the four mica/line inputs, two of which are also high-impedance instrument inputs that can record super-hot pickups with no unwanted distortion. Four fixed line inputs are also included, and the ADAT input supports an additional eight channels when combined with multi-channel mica preamps like Claret Cooper. 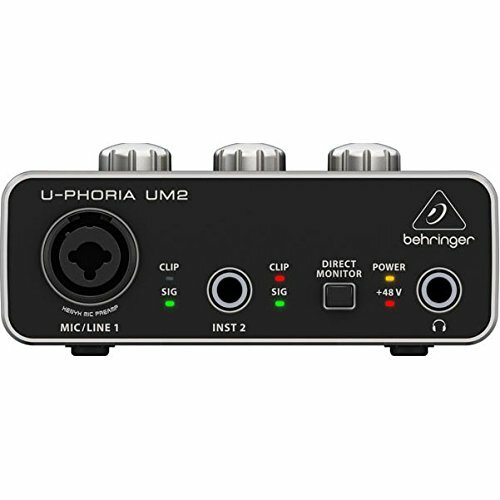 Outs include two monitor outputs with anti-thump technology, two line outputs and two headphone outputs with volume controls. MIDI I/O and S/PDIF I/O are also included. The four Air-enabled mica preamps can reproduce the input impedance, clarity and frequency response curve of Focus rite's original ISA mica preamp. Claret 4Pre USB connects to Mac or PC using the included standard USB and USB Type-C cables. Record with super-low latency through amp simulators and effects plug-ins. Configure your routing and monitor mixes from Mac, PC, iPad, iPhone or iPod Touch with user-friendly control software Focus rite Control. Additional included software is from XLN Audio, Focus rite, Softie, Able ton and Loop masters. 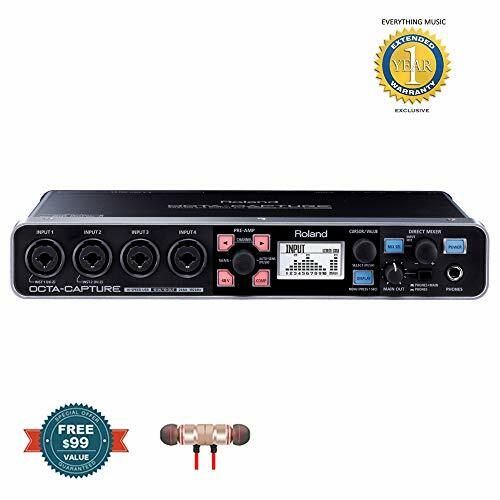 120 WATT MICROPHONE PA Mono Amplifier w/70V Output & Mic Talkover Power On/Off with LED Indicator 1/4'' Phone Jack LED Level Display Master Volume Control High/Mid/Low Tone Controls Front 3.5mm AUX CD Input Jack MIC 1 Talkover Phono/Aux Volume Control Mic 1 Mic 2 Volume Controls Mic 1 Mic 2 6.35mm Connectors Voltage Selector 110/220V Removable AC Cord Unswitched AC Outlet Mix Bus Jacks Phono/Aux/RCA Input Jacks Phono/Aux Input Selector Variety of Speaker Outputs Terminal Dimensions: 3 1/3'' H x 12 3/4'' W x 8 9/10'' D This 120-watt microphone amplifier takes your voice to the next level! The amplifier's wide frequency response makes it suitable for amplifying music or vocal program material. It can be used for live bands, office paging systems, public announcements, or a variety of other installations. It's got two front ' inputs for mics, each with its own independent volume control and talkover. Plus, there's two stereo RCA inputs on the back - including one that takes low level phono input from a turntable. The 3-band EQ (100 Hz, 1 kHz, 8 kHz) lets you tweak the sound to your exact requirements. 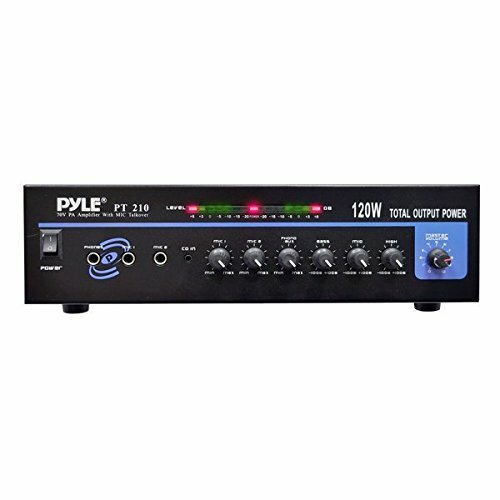 This amp is compatible with 70 V PA systems too. An unswitched outlet on the back means you'll never be looking for an outlet. 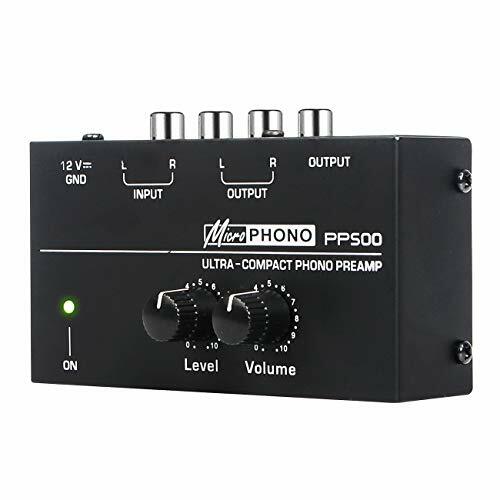 Runs on 110 and 220 V.
Compact size phono preamp with metal shell, portable and durable. With two RCA(L & R) inputs, two RCA(L & R) outputs and one 1/4" TRS output. For converting the phono signal to a line level signal. Ultra low-noise audio performance, offers excellent sound quality. Come with a power adapter for convenient usage. Converts your phono signal to a line level signal. State-of-the-art phono preamp to accommodate magnetic pickups. Ultra low-noise audio operational amplifiers offer outstanding sound performance. Dedicated RCA and1/4 TRS output connectors. DC 12 V adapter included. 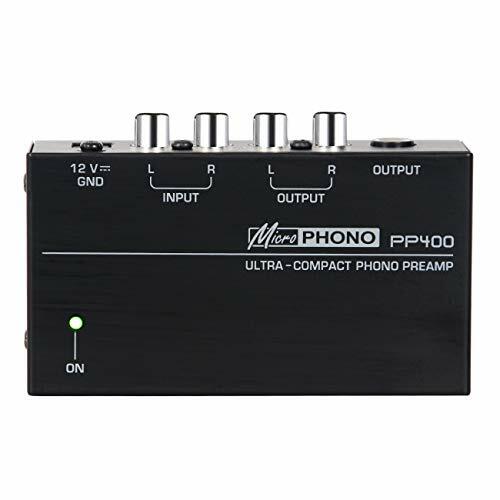 Ultra-compact phono preamp with metal shell, portable and durable. 2 * RCA(L & R) inputs, 2 * RCA(L & R) outputs, 1 * 1/4" TRS output, multiple connection choices. With level and volume control knobs. 2 * RCA(L & R) inputs, 2 * RCA(L & R) outputs, 1 * 1/4 TRS output, multiple connection choices. Ember brings Blue's legendary studio sound in a compact formfactor to your creative space. Featuring our proprietary hand-tuned custom condenser capsule, Ember delivers superbly clear, open and detailed response for both voice and instruments. Ember's cardioid pickup pattern focuses on your sound source while minimizing room noise, making it ideal for recording music, podcasting and live-streaming. The compact side-address design is perfect for placement in tight spaces or limited on-screen real estate. Ember's custom-designed phantom power circuitry and precise cardioid polar pattern ensure remarkably consistent frequency response with minimal noise, giving you a powerful, commanding vocal sound. 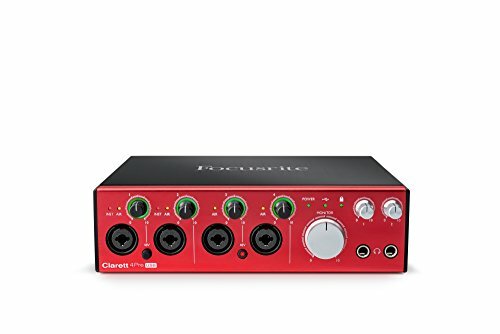 Focusrite Clarett OctoPre 8-Channel 24-bit /192kHz Studio Recording Mic Pre-Amp. Supported Sample Rates: 44.1 kHz, 48 kHz, 88.2 kHz, 96 kHz, 176.4 kHz, 192 kHz. Microphone Inputs:. Frequency Response: 20 Hz - 35 kHz 0.1 dB. Dynamic Range (Without Insert): 118 dB (A-weighted). Dynamic Range (With Insert): 115 dB (A-Weighted). THD+N: 0.001%. Noise EIN: -128 dBu (A-Weighted). Maximum input level: +18 dBu 0.5 dB. Gain Range: 57dB. Line Inputs:. Frequency Response: 20 Hz - 35 kHz 0.1 dB. Dynamic Range (Without Insert): 117 dB (A-weighted). Dynamic Range (With Insert): 115 dB (A-Weighted). THD+N: 0.001%. Maximum input level: +26 dBU 0.5 dB. Gain Range: 57dB. Instrument Inputs:. Specifications of Ember: Transducer Type: Condenser capsule. Polar Pattern: Cardioid. Frequency Response: 38Hz-20kHz. Sensitivity: 12mV/PA. Output Impedance: 40ohms. Rate Load Impedance: not less than 1k ohm. Maximum SPL: 132dB SPL. 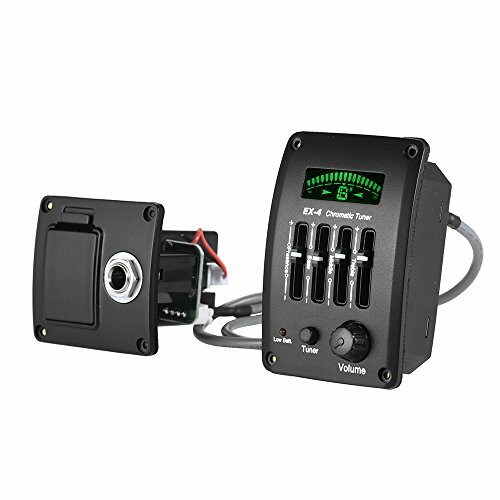 Power Requirements: +48V DC Phantom Power. Weight: 0.84 lbs. Dimensions: 219 mm (L), 38.26 mm (W), 31.91 mm (D). The Royer model R-DB20 is a phantom-powered ribbon and dynamic microphone signal booster and impedance buffer. It increases the level of passive low-output ribbon and dynamic microphones with a minimum of distortion or coloration. 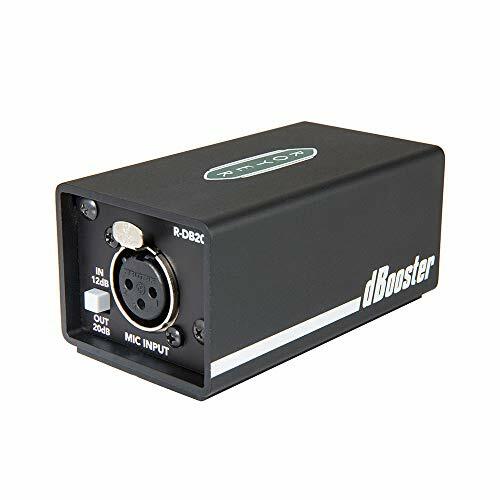 Designed for profes- sional applications, the dBooster provides two levels of clean gain boost; 12dB and 20dB, selectable by a front panel switch. The dBooster maintains headroom and gain regardless of load. With its compact design and pristine audio quality, the unit is not only the perfect interface for multichannel computer-based production, but also a great solution for expanding the I/O capability of the V-STUDIO 700 and V-STUDIO 100. Enjoy your Free Bluetooth Wireless Earbuds, actual item color and style may vary.